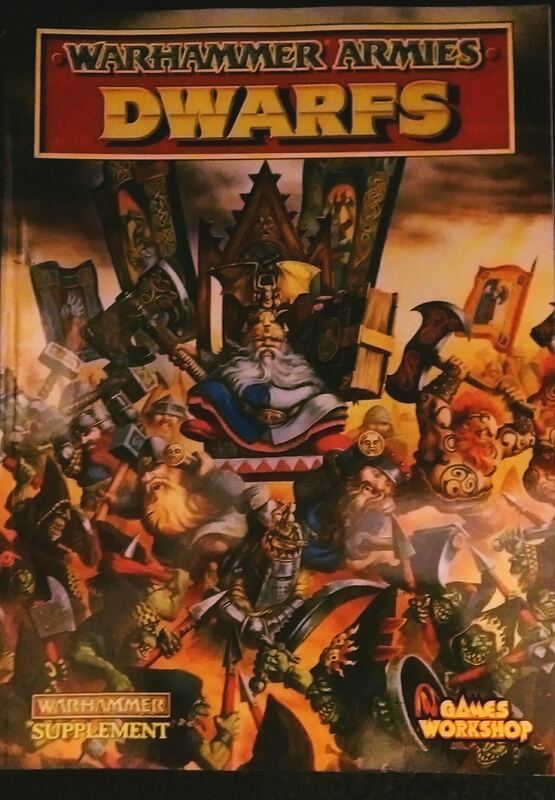 Well it has taken me a while to put finger to keyboard in relation to this topic; and the new Warhammer Dwarf army book has been out for about 4 months now, many people will have bought the new figures and played a number of new list options. 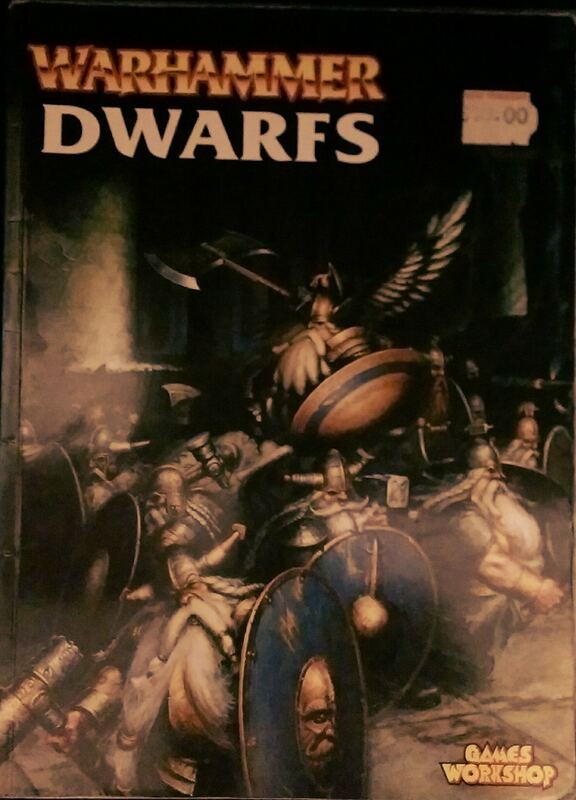 Be it a late review or not, I’ve been a Dwarf player since the late 1980’s and I’m going to post my thoughts about the new release. On the face of it I like the new book, its hard back, contains a balanced mix of background (Fluff), rules, troop rules and costs, and the art work you might expect from a Games Workshop product. It is well produced and a pleasure to flick through. However after my first scan through I was left feeling disappointed. I felt that a good opportunity had been missed. This book saw the introduction of two new units, (although the gyro-bomber is just the re-introduction of the gyro-copter bombing run from earlier an edition of the Dwarf army book). The dwarf player still lacks something to take the fight to the opponent, yes they now get bonuses on the charge, and have a host of weapon runes at the disposal of their hero characters, but when does a dwarf army actually get to charge on a consistent basis? We have an army list that is totally devoid of any monstrous units, cavalry or chariots. The background states that the Dwarf Kingdoms are established within the mountain regions of the Warhammer world. However in all that time they have not found some mythical creature or beasts of burden to tame and put to some use. They are supposed to be the most creative race in the Warhammer world and yet the best war machine they can come up with is a light weight helicopter with a bomb? I don’t just play I collect, paint and model, I want a grand centre piece! Some kind of dwarf made dreadnaught or steam powered chariot. 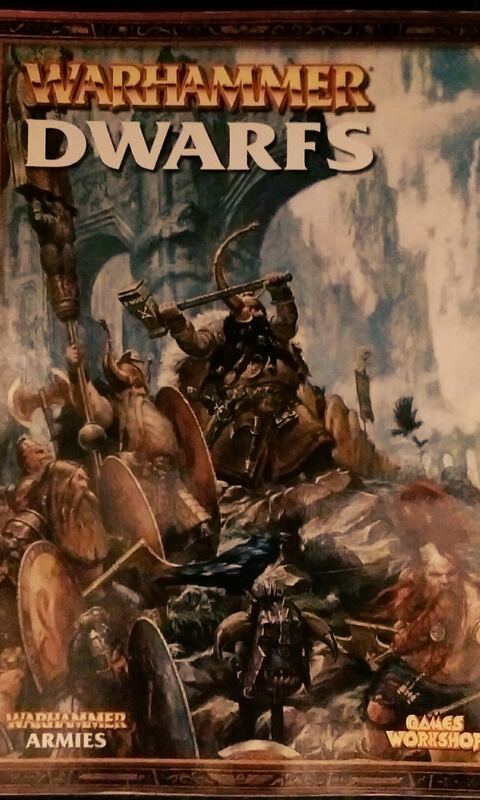 If Scibor can manage Dwarfs on bear back and West Wind Dwarven boar cavalry, then surely Games Workshop could come up with something better; that still fits within the rules and background of the sons of Grungi! The sculpting of new models was pretty poor as well. I find that the elven models always look great as do the empire sculpts, in fact as each race has been given a re-boot I’ve been left salivating and wandering if I can afford to take up another collection. 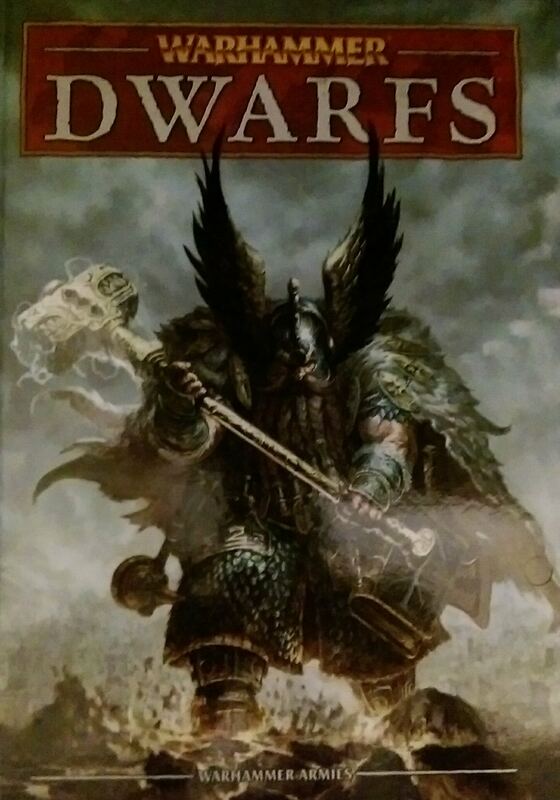 The two dimensional feel to the new dwarf figure such as that atrocious sculpt ‘Belegar Ironhammer’ left me feeling like no time had been put into planning the new dwarf army, although they had nine years to come up with ideas. Putting the anvil of doom back in the magic phase has rendered it useless. The best rune, ‘Oath and honour’ has gone and the effects of the rune ‘Wrath and ruin’ have been reduced, which means that if you do get a successful strike past the enemy wizard, the effects will be minimal and possible not worth the cost of choosing the item. The Organ gun, a weapon that was more about luck than accuracy has also be worked over, now you have to roll the artillery dice, and any shot released still have to be rolled to hit and with the Dwarven BS of 3, its no likely, you better off picking a unit of 10 Thunderers where you will at least get 10 shots every round. As far as my collection is concerned its back to the shelf for these models. I understand that changes have to be made, some of the old army rules did not fit well with the 8th edition Warhammer rules, some had been rendered obsolete and others had become over powered, so changes were needed. But I feel that opportunities were missed. Having moaned and bitched about the changes that I dislike, what do I like. Well there has been a reduction in the cost of core troops such as Thunderers and warriors. Some new rules seem quite interesting, such as the new version of ‘Ancestral grudge’ and ‘Forgefire’. Also there appears to be no more -1 to hamper the roll to charge/flee. As I said I like the book itself, and despite what I said about the sculpting I do like the new Iron drakes and the new version Long beards, I also like the new gyro-copter sculpts despite the fact that assembled they are no bigger than a paint pot. The dragon slayer was rather cool as well despite displaying a rather elf level of agility. In contrast the book comes out really well, and just maybe it is better in some regard, if it wasn’t for those missed opportunities.